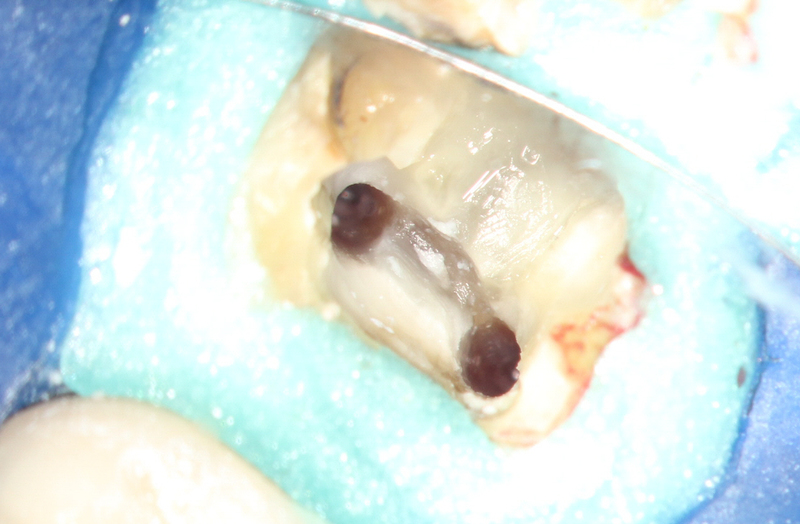 Bauman Endodontics: Lower molar with an extra mesial canal! 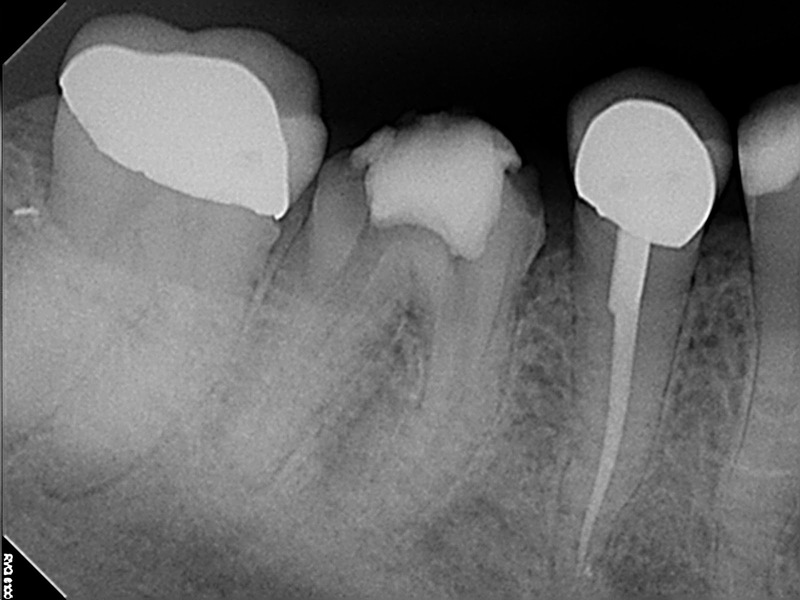 Here is one more example of a tooth that has an unusual number of canals. 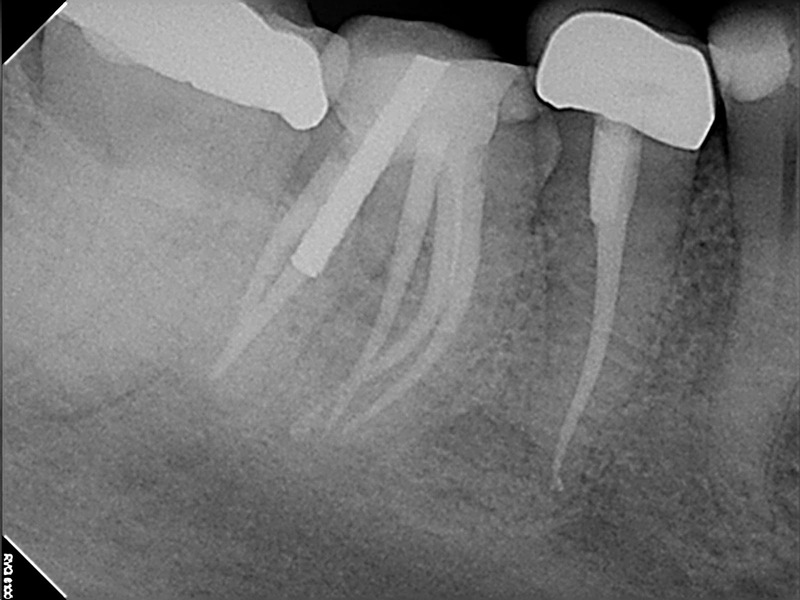 The mesial roots (the ones toward the front of the mouth) usually have two canals but this one has a third in the middle. This canal is not obvious to find and is often missed when it is present. 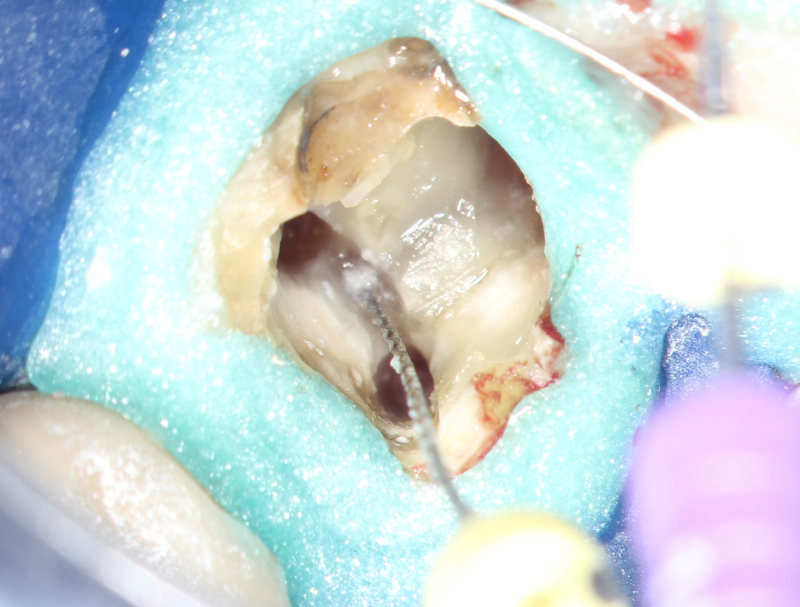 Tooth #30 has previously been accessed and the patient continued to have severe pain. 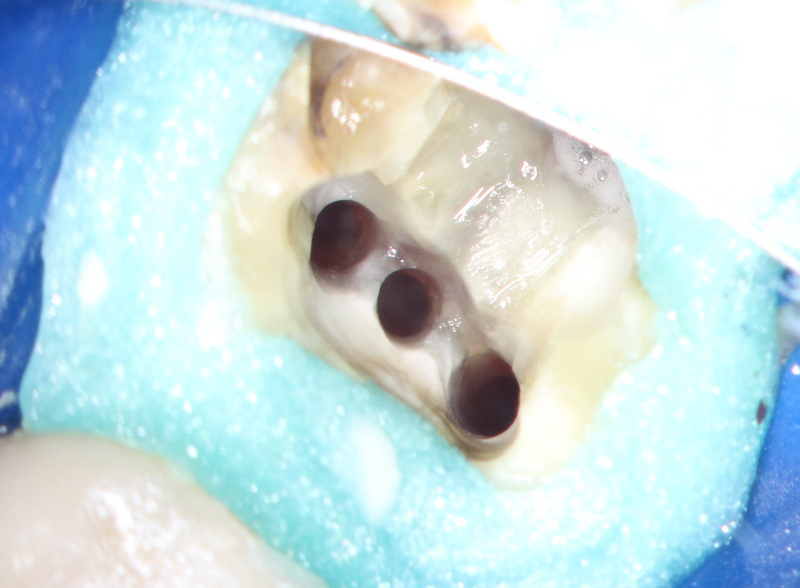 Here is a file locating the middle mesial canal. When present this canal usually joins with the adjacent canals but in this case it is an independent canal. The three canals when they have been cleaned completely. Very good post. This tooth looks crazy. 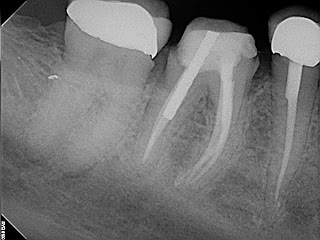 Thanks for showing what an unusual root canal situation can look like. To get the permanent results for the infected pulp you need to go with root canal treatment in Ludhiana. We are the leading clinic in Ludhiana that give you finest results without making any extra money from you. How many canals are normal in a pre-moalr?